The Daring Bakers: Biscuit Joconde Imprime/Entremet ~ I Can Do That! What a fabulous looking entremets! I love the flavor combination. Nice work on this challenge! WOWZER! I'm quite impressed and drooling over the decadence. 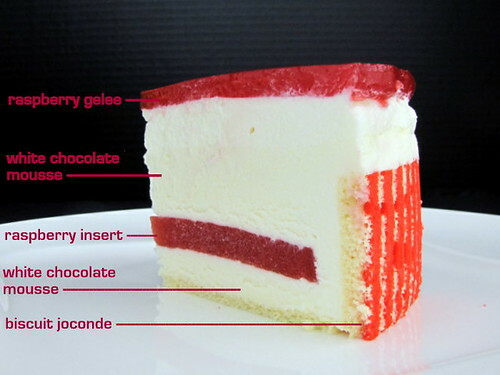 I wold like a slice, please! This looks so beautiful. I love that you got such a deep red color - I never get past pink...! Each element of your dessert looks amazing, and it much have been heavenlt together! Great job on this challenge! I love the stripes! And your photo that has labels makes me smile, it must be the teacher in me. Nice job on the challenge! 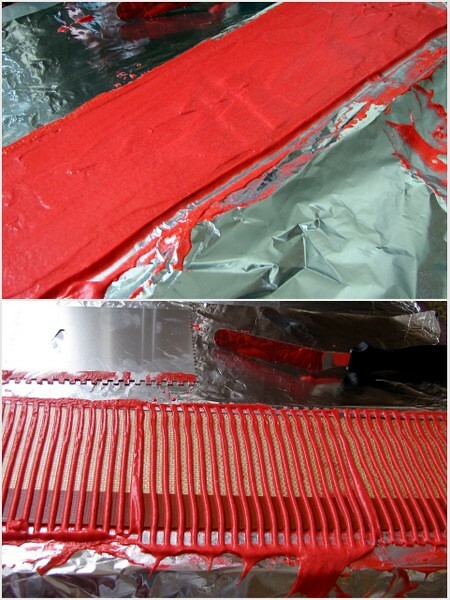 That pattern is amazing it is perfect with your white chocolate and raspberry gelee and insert. Superb work on this challenge. Beautiful! I can't imagine doing that! This is gorgeous! I love anything with raspberries. I don't think you need to change a thing! I'll be making this one again too, because I definitely need some practice! 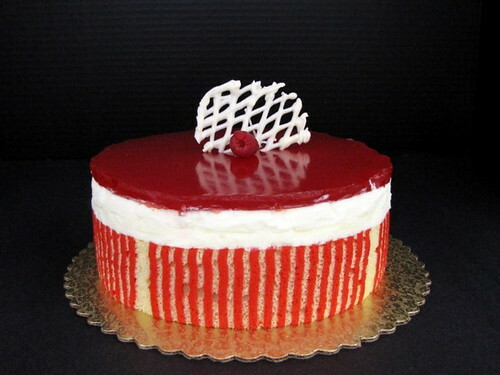 Your entremet is so lovely in its white and red colours. I also made a white chocolate mousse but used starwberry with it. I'm so behind reading blogs! I'm glad I made it here today. OMG, I'm in awe. This White Chocolate Mousse Cake with Raspberry you made is the kind of dessert I can enjoy without getting a sugar headache! I have no idea how many times I scrolled back up! Thanks for sharing. Your entremet is so pretty! And it's so complicated! You got awesome skills! Good job. It looks lovely. I would have been scared trying it.